finishes | Real people don't hire architects...? Reporducing an amazing body of work. This is a piece of Americana from “the Mercer Mile” consisting of three early examples of site cast concrete building. Ironically these building were engineering innovations by American Henry Chapman Mercer who thought that industrialization was damaging American society. The Mercer Museum, Fonthill, his home, and the Moravian Pottery & Tile Works, house collections of American turn of the century decorative arts, especially ceramics and tile work, influenced by the “Arts & Crafts” movement. I plan to make a visit soon. I have a more compelling reason for offering this post, though. The tile in the photo immediately caught my attention for its artistic quality, which is what lead me to examine its source. I found that it is barely a scratch in the surface of an amazing body of work that is actually being reproduced in the still functioning tile works. These tiles can be purchased for installation in modern building projects. I am not one to believe in a bucket list, but the possibility of installing some of these tiles in a yet to be designed residential project is going a long way toward changing my mind. Thermally Treated and Acetylated Lumber and other things architects can’t live without. I have found that many architects love lists. I think it comes from all the years most of us have spent cranking out construction documents, which could be the mother load of all lists. 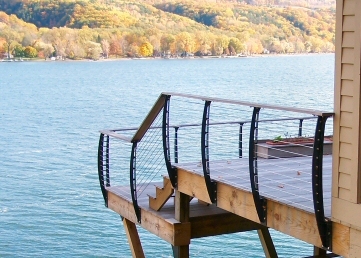 In any case, AIA recently publish in “Residential Architect” this very astute list of essential building products. If you are building or remodeling a house there is a good chance that at least a few of these are going to show up in your project, and if they don’t you may want to look into why not. My personal favorites are spray foam insulation and high performance windows. The complete article, here, is short and worth a read for anyone thinking about building. I thought I had exhausted discussion about how to finish this house (lower right), now under construction (upper right). 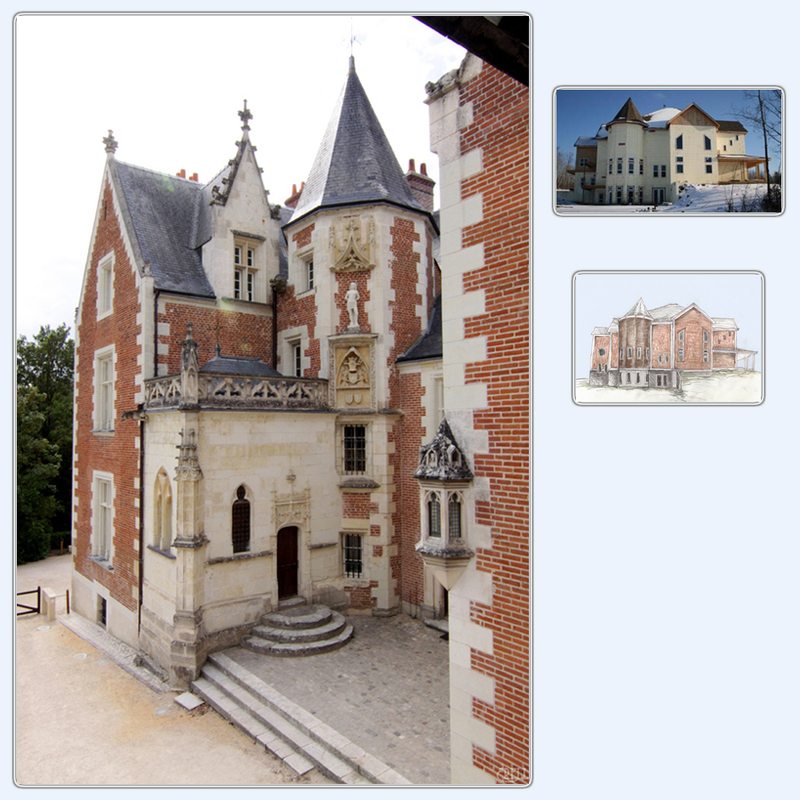 Then, as often happens to those of us who carry images around in our heads, I happened upon a reference to Clos-Lucé, final home in Amboise, France, of Leonardo da Vinci. Suddenly the “French Chateau” I was envisioning jump out of the pages of history to express my idea about this design problem. The brick volumes of the Chateau are framed by smooth tufa stone rustication that has been installed in an elaborate crenelated pattern. If there is any change in material, it is only to define and entire volume, as the rectangular box of the entryway. Even considering the stylistically eclectic macrocosm comprising today’s building, this is a historically strong image that is likely to, on some level, attach itself to the house under construction. Any design, therefore, that involves horizontally breaking the volumes is bound to look contrived. Likewise, matching horizontal elements, i.e. foundation and roof, might appear puerile in the context of a potentially sophisticated project. Clos Lucé – Entrance | Flickr – Photo Sharing!